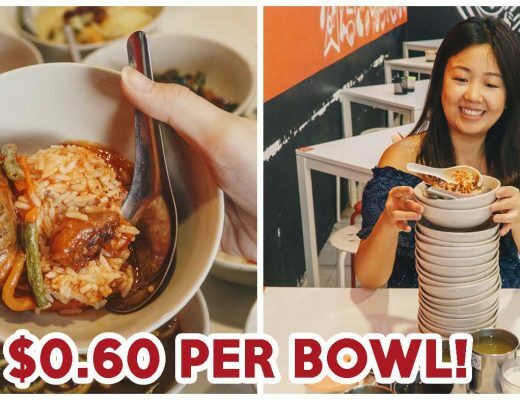 Penang is well loved for their good and cheap Penang hawker food, but the cafe scene in Penang is also popular among locals and tourists alike. Walking along the streets of George Town reveals both an artistic flair and serious food business. 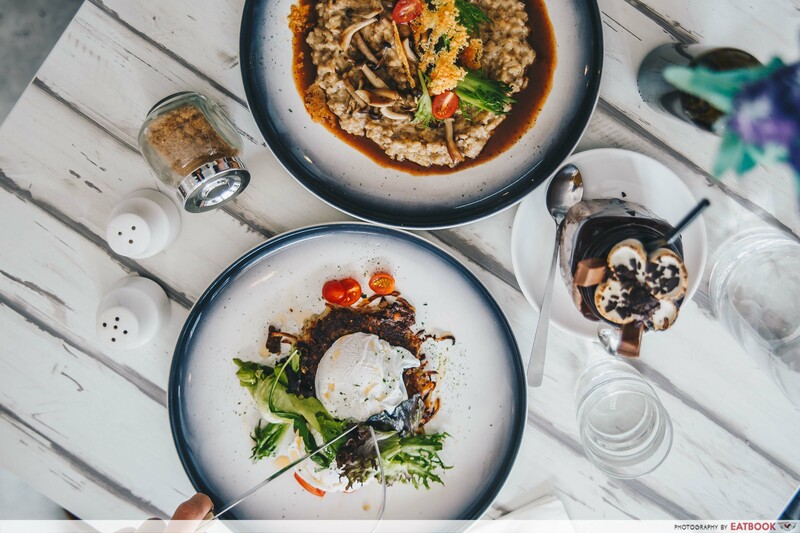 If there is anything that encapsulates Penang’s mix of art and food, look no further than their cafe scene. 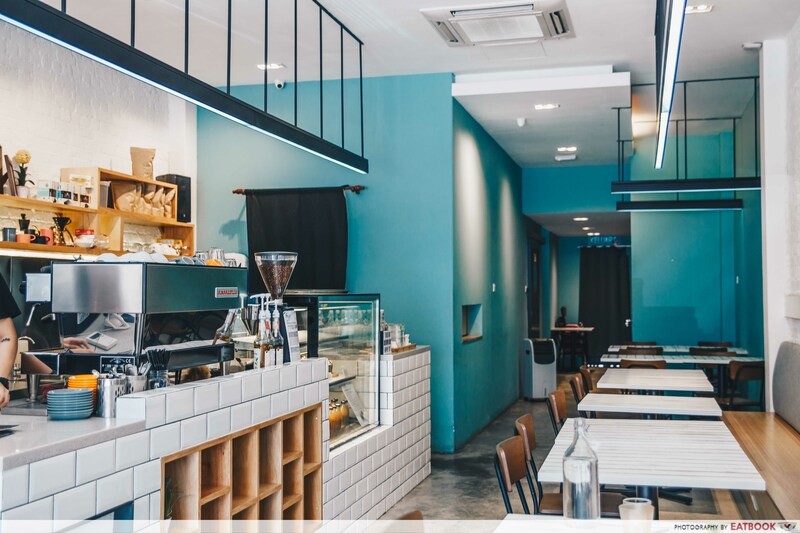 Here’s a list of cafes in Penang to visit for a food-filling trip. Awesome Canteen is like a sunny, plant-filled Manhattan loft. 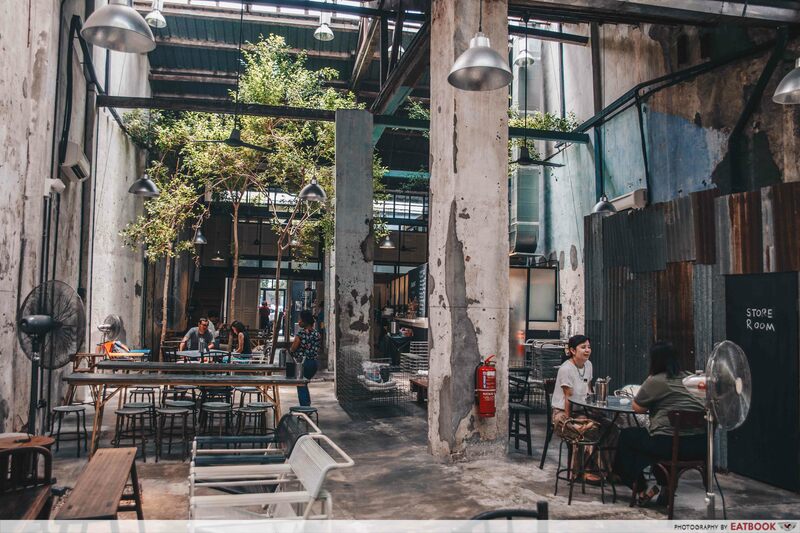 Exposed concrete walls, trees sprouting up in the middle of the cafe, and vintage furniture you would only see in an interior design showroom, all add up to make the cafe a great location to soak up the chill Penang vibes. It also features rooms at the back for short stays; imagine waking up to the bustle of a cafe. 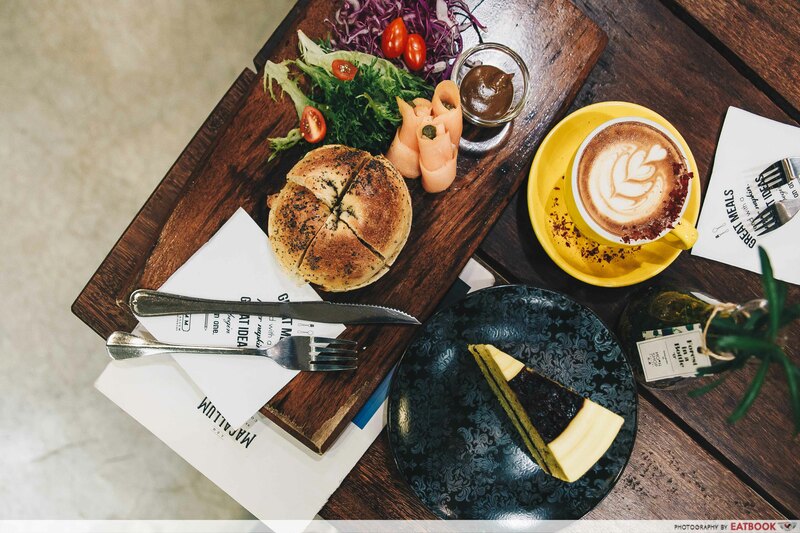 Take a break from Penang street food and feast on the healthy yet delicious fare here. Their 200 Paleo Chicken Patty (RM24.90+/~S$8.37+) was juicy with spices and when paired with an avocado pesto salad, kept us going back for more. Another must-try is Salmon Don (RM27.90+/~S$9.38+). The slab of salmon comes atop a bed of Japanese rice and simple cabbage slaw that complemented the natural richness of the oil in the fish. There wasn’t any spot in Pik Nik that escaped my trigger-happy Insta-storying. Every nook and cranny of this cafe screams art. 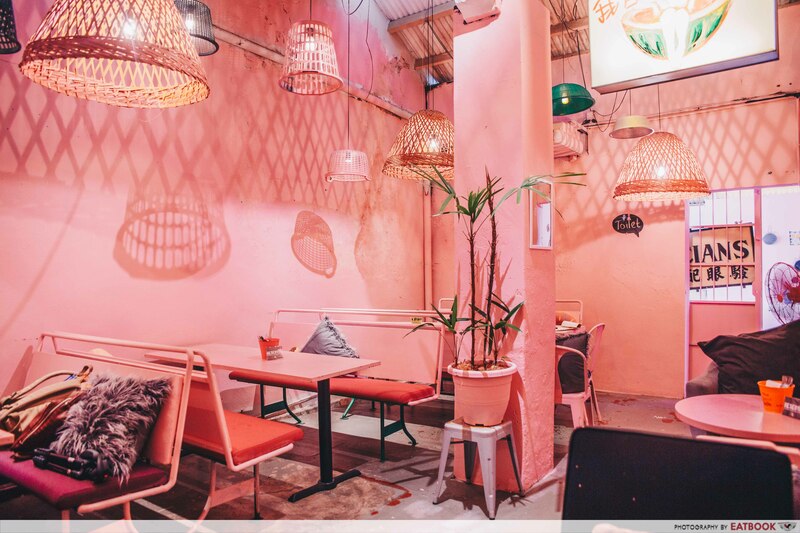 The most Instagrammable section, however, was the pink room. It was as if a bucket of pastel pink paint exploded in the middle of the room and nothing was left unscathed. 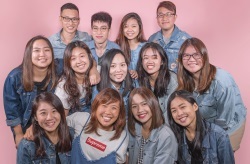 Feel free to channel your inner Gigi Hadid here and snap the coolest display picture you can get. Pik Nik has a menu of equally creative food such as Sateh Chicken (RM15.90/~S$5.34) and Salmon Roll (RM16.90/~S$5.68). 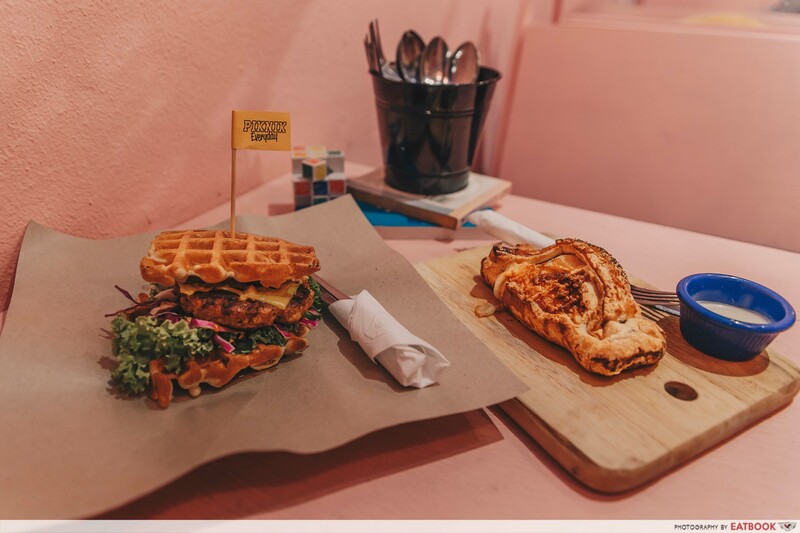 Sateh Chicken is a grilled chicken patty sandwiched between two freshly baked waffles. It had the same flavours you get from satay on sticks, but slightly spicier because of their house-made peanut sauce. The Salmon Roll was also popular at our table. When eaten piping hot, it had a mouth-watering combination of crispy puff pastry and buttery goodness from the salmon and cheese filling. Out of Nowhere has got to be one of the coolest places to visit in Penang. The entrance of this speakeasy bar is elusive as it is hidden behind the counter of a brightly lit cafe called Hold Up. 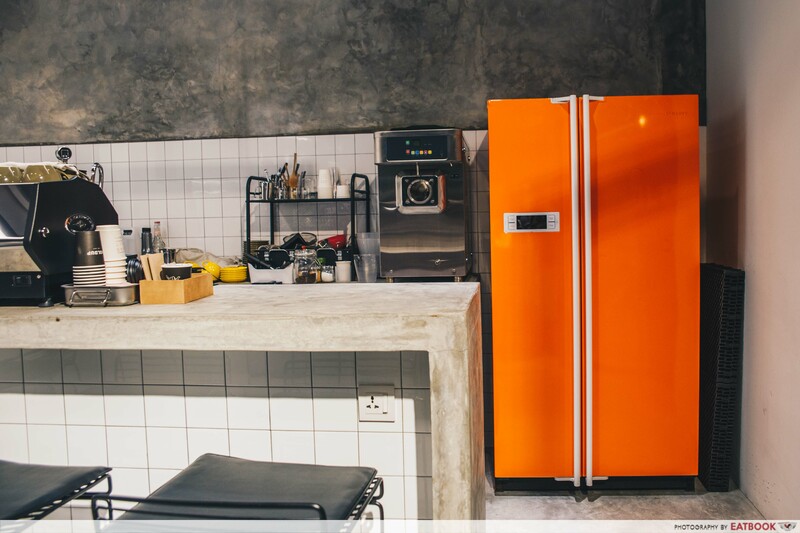 Keep your eyes peeled for an orange refrigerator, which is actually a secret portal leading you to the bar. Like in the movie Narnia, watch as a whole new scene reveals itself; lush plants and dark lounge chairs are illuminated by a soft neon glow. Nothing on their menu is run-of-the-mill. If you’re looking for something on the sweeter side, definitely get Apple of My Thai (RM36/~S$12.07), a fruity martini cordial with hints of basil and java apple. For a more unique drink, we recommend giving Into the Bahulus (RM38/~S$12.74) a try. 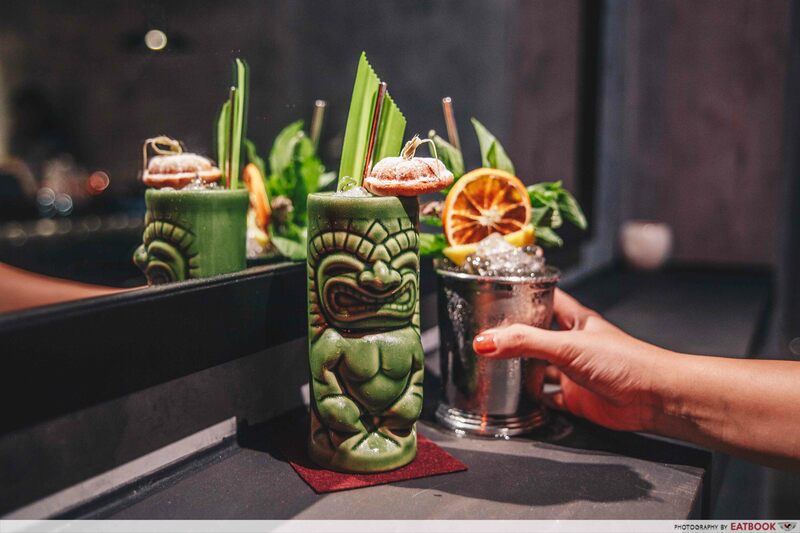 It is a rich and smoky cocktail made with pandan rum and pineapple juice, adorned with a piece of bahulu. Take a break from sightseeing and wind down at Dan. At a peaceful location near the seaside, the owner has created this space with the intention of letting people come here to relax. 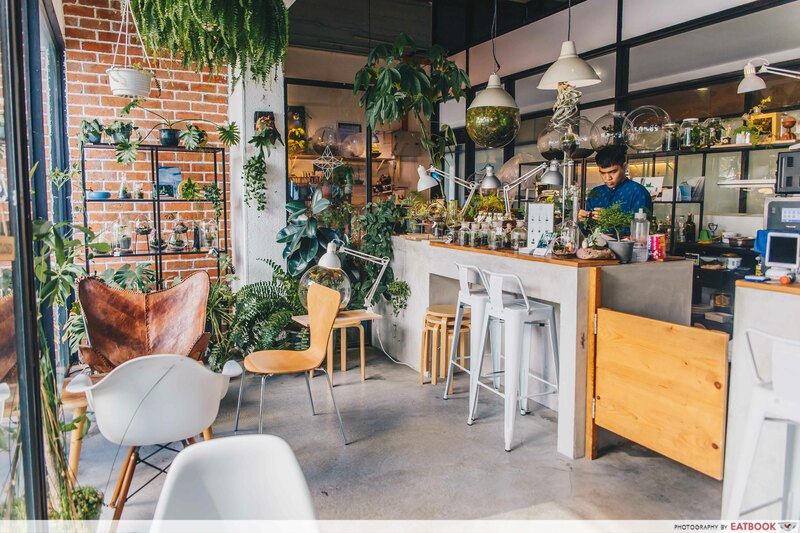 Dotted with terrariums, white marble and wood furnishings, this sunlit cafe is also the best place for an aesthetic #ootd. We dove into our desserts as soon as they came. 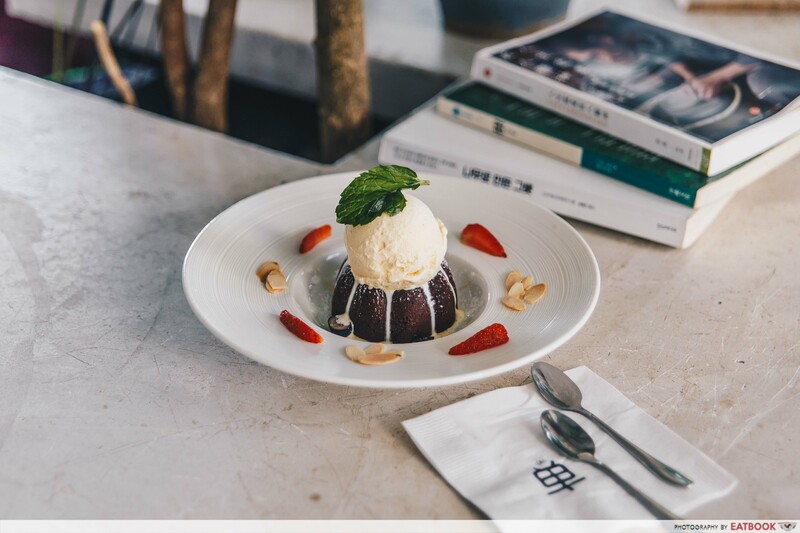 The Chocolate Lava Cake (RM18/~S$6.08) featured a bittersweet chocolate cake that took the centre stage. Each spoonful was a chocolatey mess of different textures. The Matcha Affogato (RM15/~S$5.07) was a clever tweak from the usual espresso-based dessert. The matcha concoction was thick with an earthy flavour that paired nicely with the sweet vanilla ice-cream. Just like its name, Lavish has a variety of baked goods and cakes luxurious enough for a banquet. They also have an equally beautiful ambience to match. My favourite spot in the cafe was the part where sunlight shone through from above. With a vertical garden and glass ceiling, I could only imagine how nostalgic it would be during a light rain. There are plenty of options here at Lavish. Inspired by Sydney’s Black Star Pastry is the Watermelon Cake (RM16.90+/~S$5.72+). Fans of the cake can now have a slice here in Penang as well. The Salted Egg Caramel Cronut (RM24.90+/~S$8.42+) was also an interesting one. 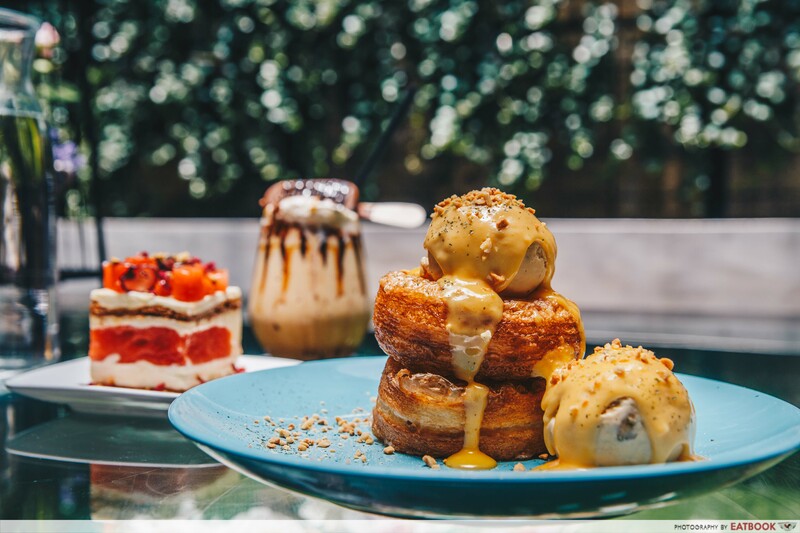 It was a delicious combination of sweet and salty flavours, with the cronuts lending a buttery taste to the dessert. For a little pick-me-up, we also recommend their Magnum Coffee Milkshake (RM18.90+/~S$6.39+). Located off the beaten path is Roots Dessert Bar. The cafe is famous among the locals and it was full when we arrived at 4pm on a weekend. Items in the menu include savoury toasted sandwiches and small bites. Trust me when I say that Instagrammable desserts were being brought out from the kitchen every minute. Their Rose Cheesecake (RM18/~S$6.09) for example, was like a cake castle surrounded by a pretty, pastel pink beetroot crumble moat. The cake had a transparent layer of rose jelly with petals and an off-white cheesecake base. The Pulled Apart Garlic Bread (RM14/~S$4.74) and Roots Special chocolate (RM14/~S$4.74) also tasted even better than they looked. 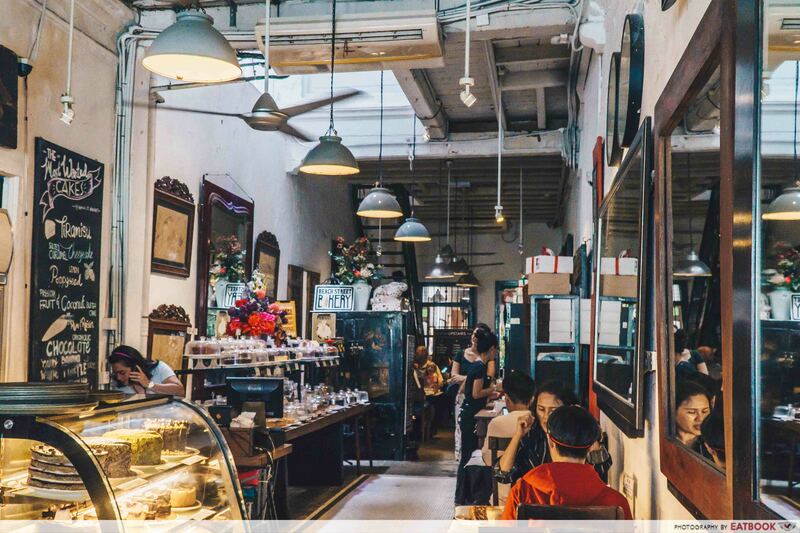 Named as the longest cafe in Penang, Chinahouse boasts three heritage buildings that house an open-air courtyard, a cafe, shops, a restaurant, a gallery, and more. 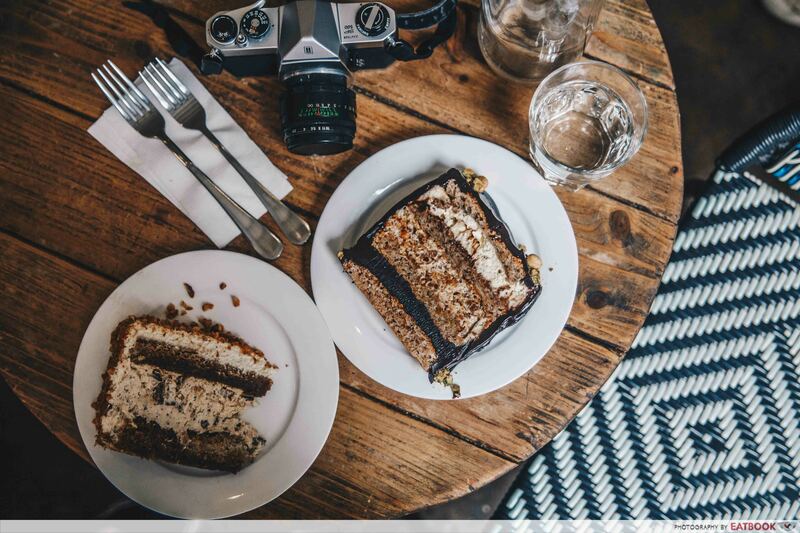 The other thing that drew us in was their remarkable array of more than 30 house-made cakes exhibited in the centre of the cafe. As if going hand-in-hand with the artsy streets of George Town, the walls of Chinahouse were also peppered with artwork from various artists. It is telling why Chinahouse has been lauded for their Tiramisu (RM16.98++/~S$5.76++). The cake had a spongy base soaked with aromatic coffee and liqueur, with buttercream scattered with bits of chocolate in the middle. They also had a french Marjolaine (RM16.98++/~S$5.76++), which came in a huge block of fancy layers with contrasting textures, reminding me of a zhnged-up version of a Kinder Bueno. 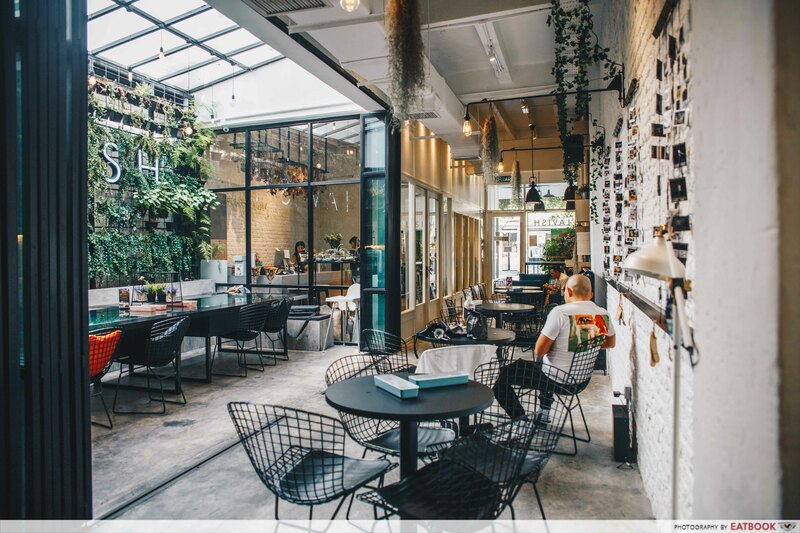 Situated slightly away from the main city area of George Town, Kraffmen makes it in our list of cafes to visit in Penang. 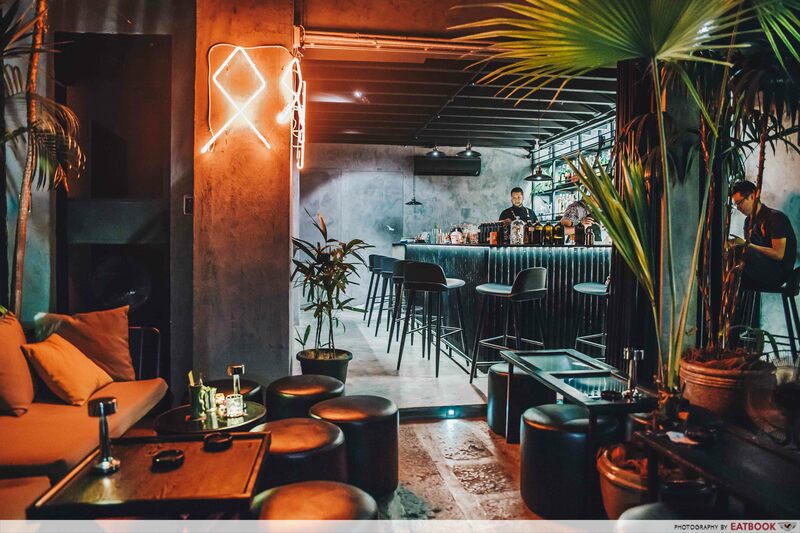 It has a modern and minimalistic interior design, with a menu that brought back memories of the time I went cafe-hopping in Melbourne. From big breakfast plates to whimsical milkshakes, Kraffmen serves a wide range of dishes. Those on a #fitspo diet can opt for healthy Oats Porridge (RM11+/~S$3.73+) garnished by berries, candied walnut, and caramelised banana. 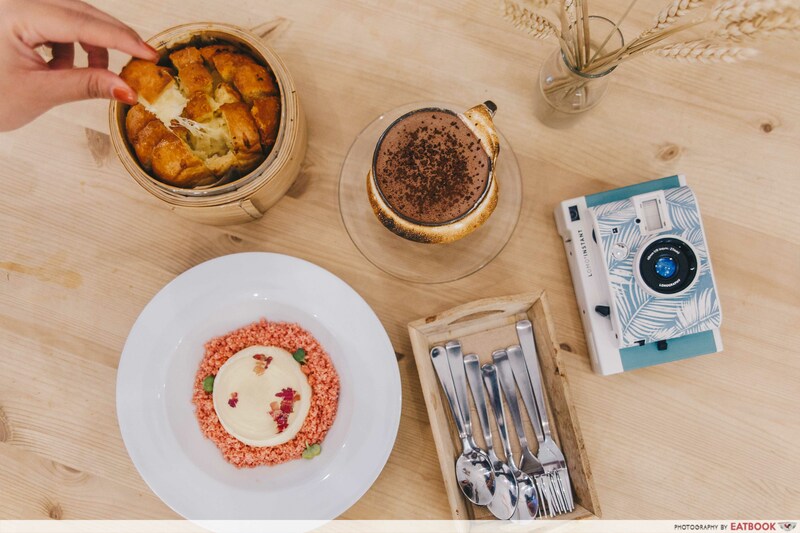 Those looking for a satisfying breakfast can opt for The St. Ali (RM21+/~S$7.12+), which has a bed of potato rosti topped with mushroom duxelles, poached egg, and shaved parmesan. Do take note that the brunch menu here is only available until 5pm! 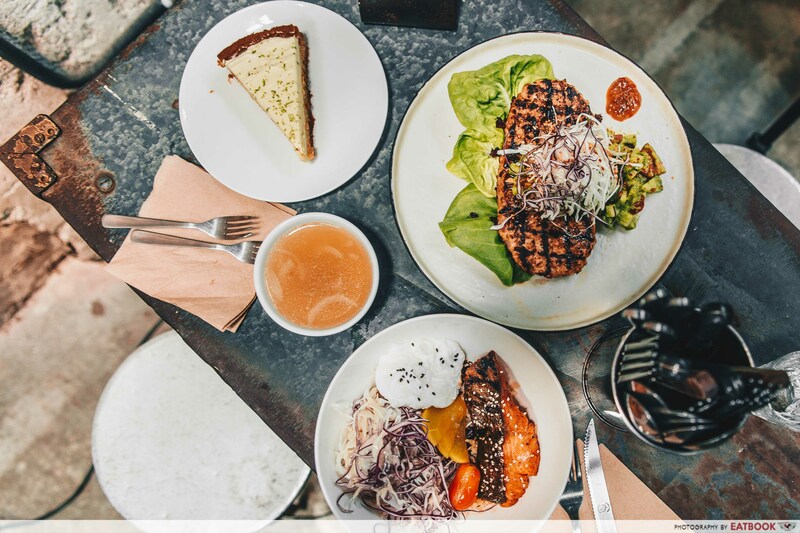 If Wheeler’s Yard is your favourite cafe in Singapore, you must pay a visit to Macallum Connoisseurs when in Penang. 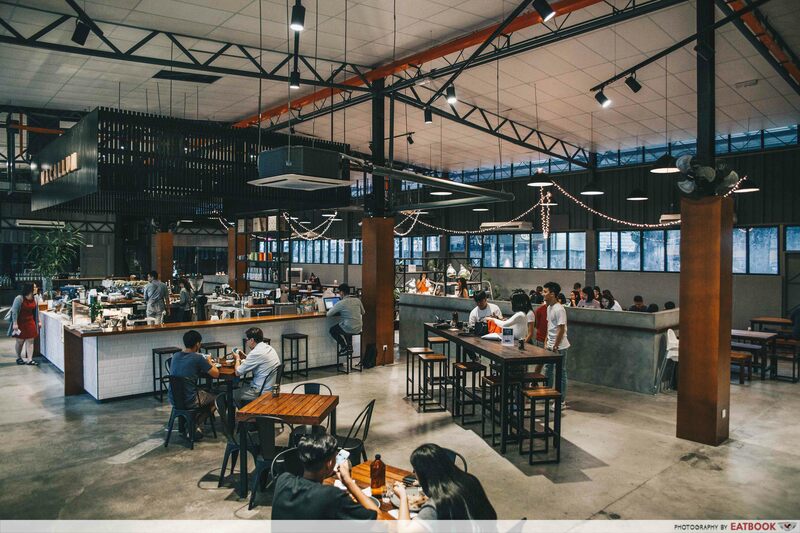 Macallum Connoisseurs is a hipster cafe in a warehouse. Decorated like a loft in the city with white tiles, wood, and metal furnishings, this spacious cafe is able to accommodate private events as well. We got a bagel to match the New York City loft vibes in the cafe. Their Smoked Salmon Bagel (RM16.98+/~S$5.76+) arrived warm and toasty. It also came with a side of salad with sauce on the side. Unlike their dessert menu, their coffee menu is extensive. Be sure to try interesting drinks such as Rose Latte, Salted Caramel Latte, and French Vanilla Latte (from RM13+/~S$4.41+). 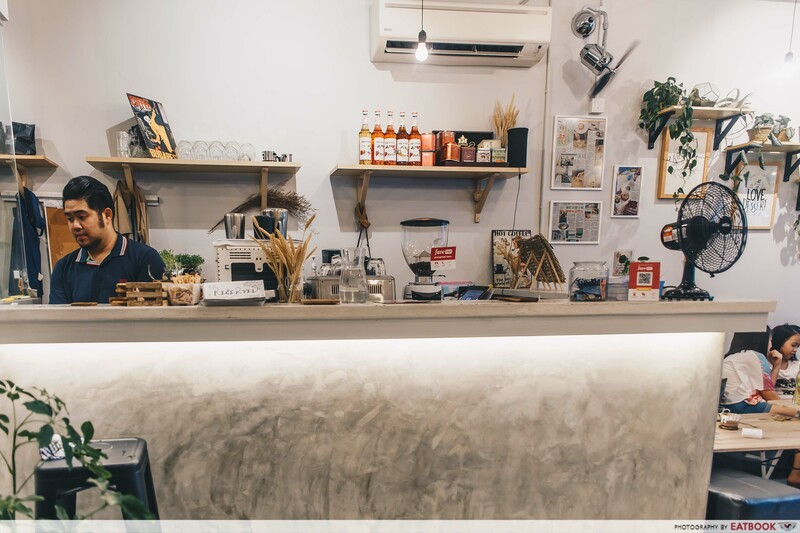 The cafe culture in Penang is comparable to those in Melbourne or Taiwan, putting this place on the list of places to cafe-hop at. Other than novel food creations, cafes here are also lauded for their beautiful ambience and one-of-a-kind concepts. When in Penang, be sure to take a day or two off the busy streets and cafe-hop with a book in tow. 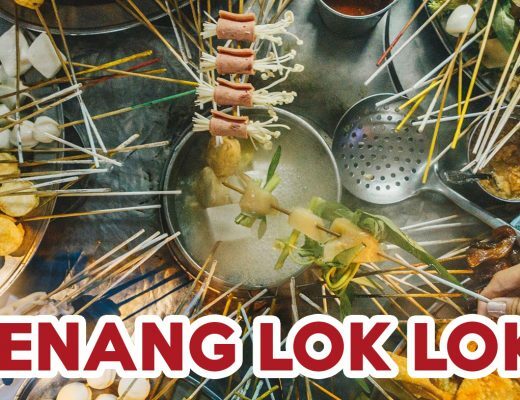 If you’re planning a short trip to Penang, check out these Penang hawker food you die die must try. Dog lovers, make sure to make your way down to this corgi cafe in Penang as well.